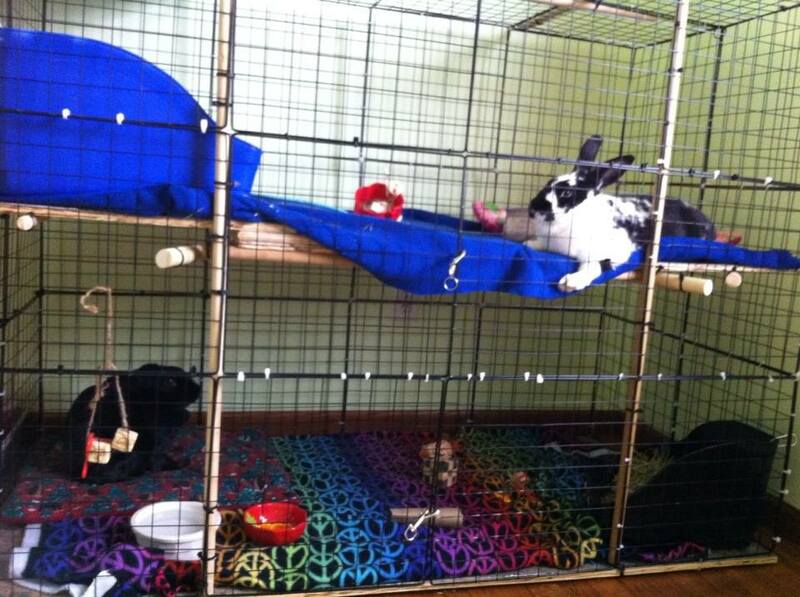 New Homes for Our Bunderful Animals!! Happiness and joy that our adoptable animals below have all found wonderful forever homes. 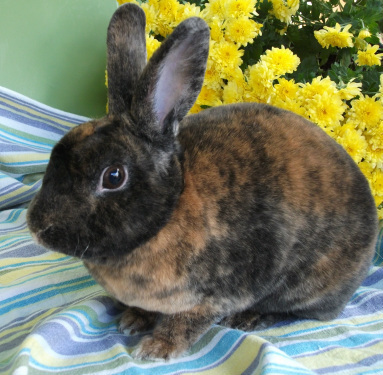 ALL OF THE RABBITS AND OTHER SMALL ANIMALS ON THIS PAGE HAVE BEEN ADOPTED. THANKS TO THE SUPPORT OF OUR FABULOUS TEAM THESE GUYS ARE WITH THEIR NEW FAMILIES! 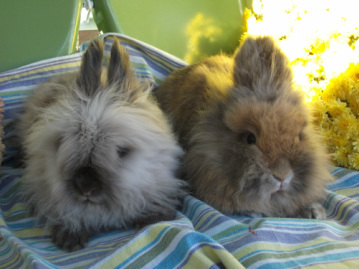 Mr. (on the left; see how the brown on his nose goes up a bit) and Mrs. are a bonded pair of lionheads. 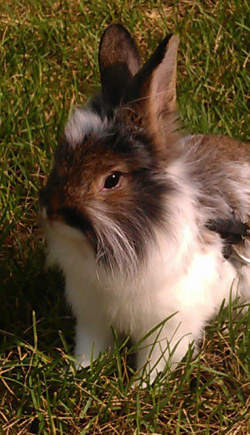 We have had all size lionheads and they are the smallest we have had. They each probably weigh just over 3 pounds. They are a lovely pair. He is a little shy and likes to explore but would rather stay close to be pet and get love. She is a crazy no fear explorer. Her you have to keep an eye on! She loves her freedom time and is more of a player than him. They are about 3 years old from what we could guess. They came from a hoarding situation so their background is really not known. 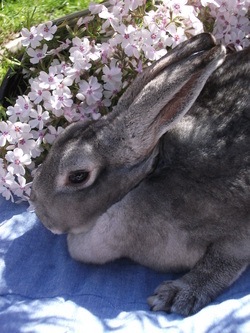 Shhhh.... don't tell anyone but we love Dutch rabbits. 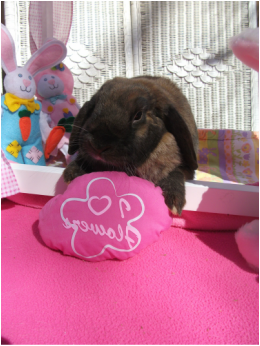 We have never had a Dutch that wasn't just the sweetest and Agnes is no exception. Her color is called "Agouti" (like Diego and Jethro) and it means there are multiple colors of brown on each hair... on the hare... pun intended). We believe she is about 2 1/2 or 3 years old. She really is adorable. A small to medium sized rabbit, Agnes is spayed, litter trained, likes to play and be held and is ready to find a home that she can live in forever and ever. (B.O.S.S. came to Wonderland in 2015. Someone called and said the neighbors had moved out and left a bunny in a hutch behind the garage. That may sound simple but the neighbors had moved out 3 or 4 days prior. The concerned people did not know bunny was back their until their daughter saw it from a window. And it wasn't a hutch. It was a box with chicken wires on all sides. They left her with no food, no water, no hay and no protection against a very harsh Michigan winter. What is wrong with people. This is how B.O.S.S. got her name. It is an acronym read backward which stands for Stupid Son OF a B... well you get the idea. She had horrific ear mites. So bad the vet suggested amputating them. When we insisted that we be given a chance to try to save them, she rallied and fought like heck to help us save her ears. Now she has sight 'ruffling' around the edges of her ears but she has them and they are beautiful!!! In the picture we were out of town on an event and she was hoping she would get to keep the pretty red convertible for her very own! She has been altered, loves people and playing, has great litter pan habits. 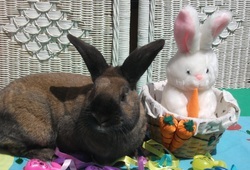 Another long time Wonderland resident, Zander was adopted by Wonderland's friend/adopter/volunteer Lisa. She had previously adopted Slick Willie who became the husbun of her rabbit Hannah. Unfortunately early in 2016 Hannah passed away (she was 12). That left Willie all alone. 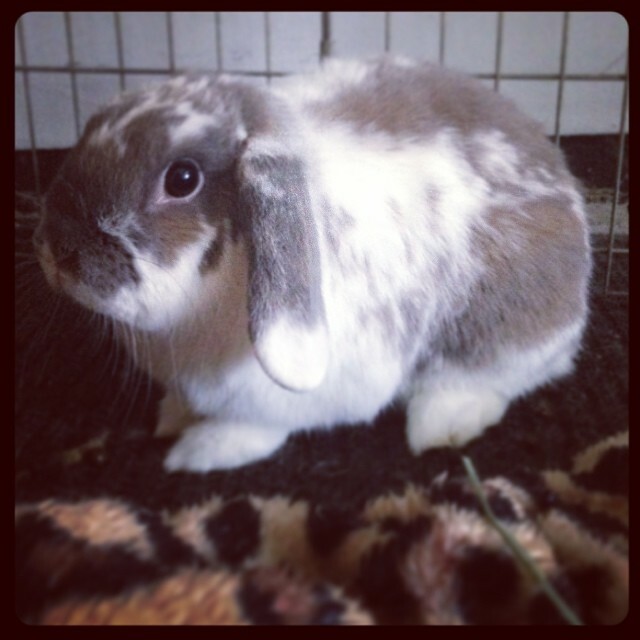 After a bout of depression, Lisa contacted us to again try to find a companion for Willie. 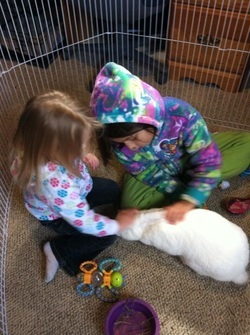 After FOUR attempts to find Willie a new bunwife (all the girls kept beating him up), Lisa and Willie settled on Zander. Now the two boys have become fast friends and should live many more years plotting out ways to drive mommy Lisa crazy! 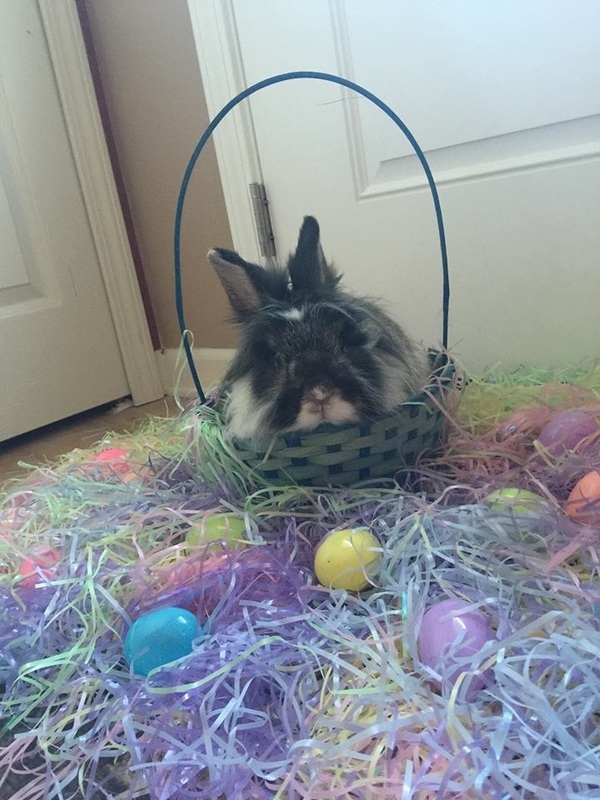 After living for 4 years in Wonderland's Rescue, Eduardo found his furever home in North Carolina! 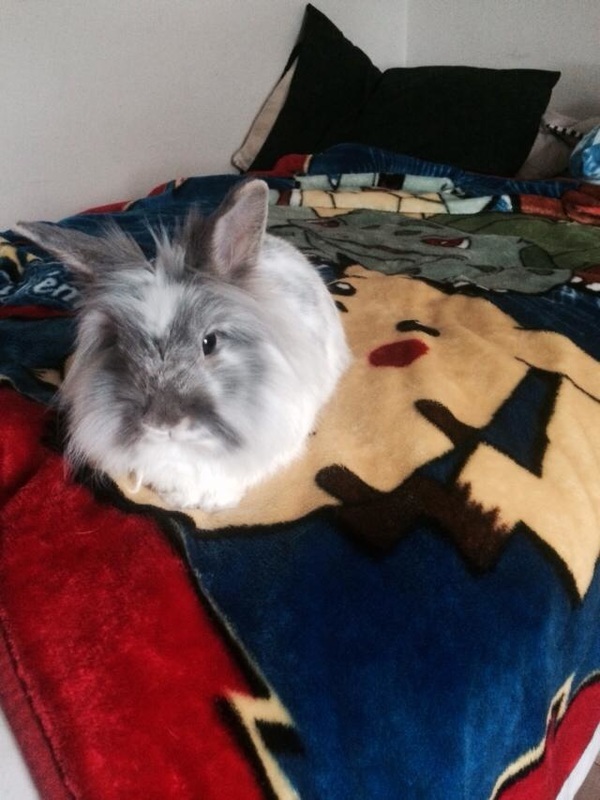 His new mom saw him on a bunny page on Facebook, contacted us and said she fell in love and the rest is history. Well almost! North Carolina is a LONG way from Michigan. 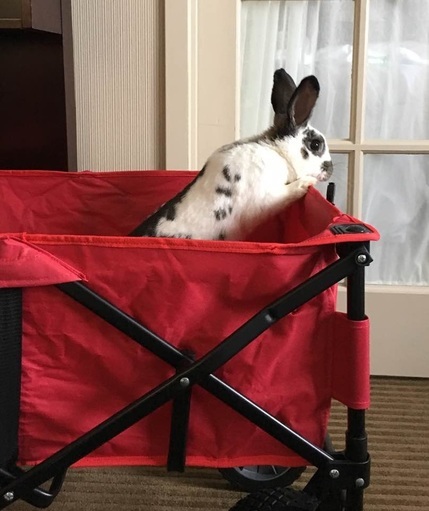 With the help of Bunny Lu Rescue in Virginia and the luck that MidWest Bunfest (our annual convention) hit right after she saw him, we were able to coordinate a bunny transport. Thank you to everyone who had a hand in getting this very special boy his new family! He waited a long time and we have heard he is very happy! JUNE 2016 LENNY Lenny, 4 year old Guinea Pig, was adopted to live in a new home with a very guinea pig loving family!!!! We have heard from them since the adoption and he is well loved!!! 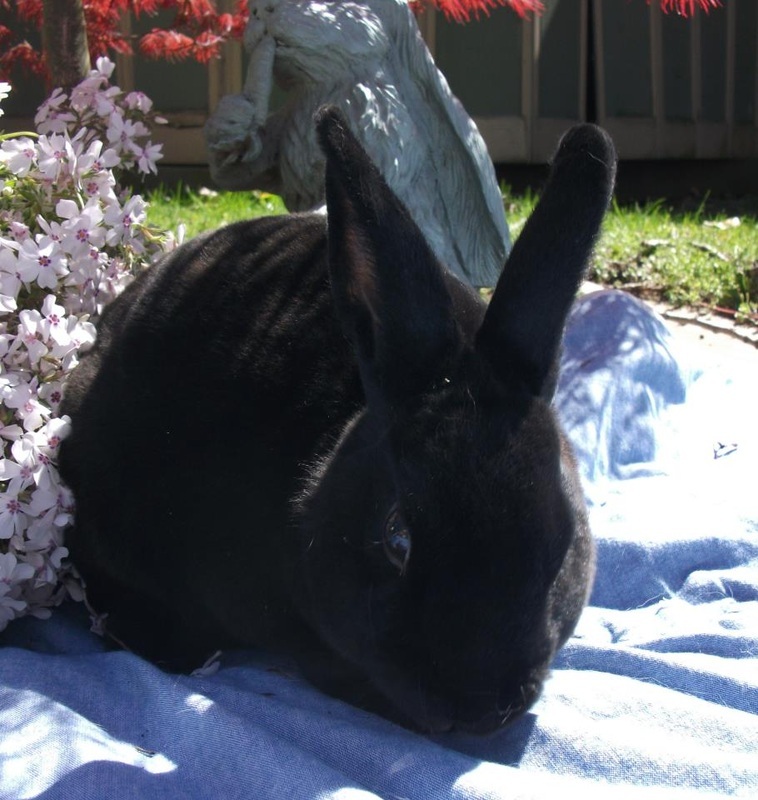 ADOPTED: October 2015 Zsa Zsa is a pretty little Californian girl who has found her new home in a very big house with another girl bunny that they hope to bond. Both Zsa Zsa and her new sister (from another Rescue) are very special to have been picked. 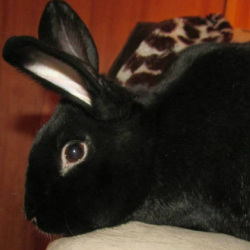 ADOPTED: Slick Willie is the last of 7 rabbits that were the reason why we opened Wonderland Rabbit Rescue in early 2012. All of his siblings have gone on to other homes and Willie is still here. The litter came from Muskegon, MI, where they had been born in a ditch with just a piece of plywood to keep them safe from the elements. 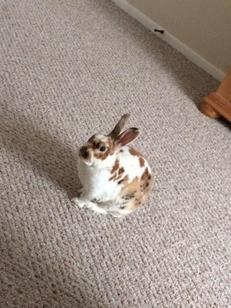 He was adopted to be the husbun to a 12 year old girl (he is only 3!!!) and to help and keep her young. Her new momma loves her like crazy and his new wife taught him how to groom her. 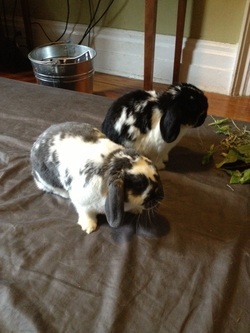 ADOPTED: Samoa and Brownie came to Wonderland as a bonded pair. Both are just approaching 3 years old and we would like to get them into a forever home. 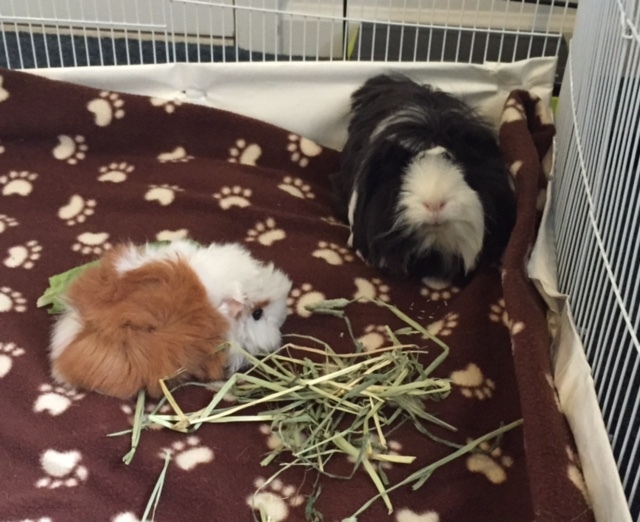 We keep our Guinea Pigs on fleece blankets for bedding and put their hay in a litter pan so the majority of their droppings go into the litter pan for easy cleaning. Their rooms are cleaned daily and totally redone every other day. They love their green peppers and oranges (guinea pigs need added vitamin C). 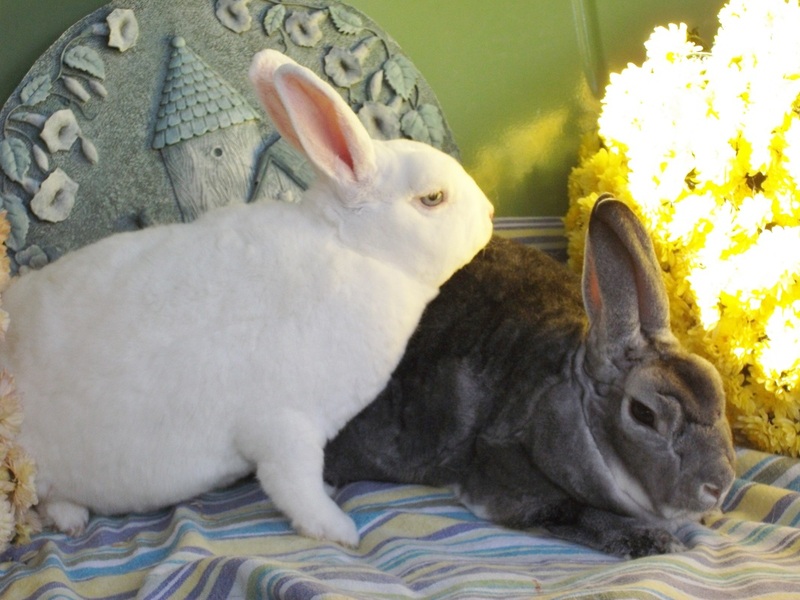 VINNIE 2000 AND FRIEDA: Vinnie (the brown Netherland Dwarf) and Frieda (the dwarf Hotot) are an adorable pair. We know that Frieda is the boss of this family although Vinnie will put his foot down once in a while. Their back story is that the previous owner hid them in the attic because her husband was allergic and had told her to get rid of them. Since summer was coming, she was afraid they would get too hot and called us. They found a new home with a wonderful lady who just wants to make them happy. UPDATE: 8/2015 Vinnie passed away. Binky free little dude. A newly bonded pair. They pretty much picked each other and bonded quickly. 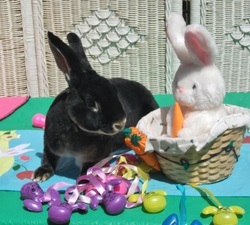 Sonny is an uppy ear rabbit and Cher is a lop. 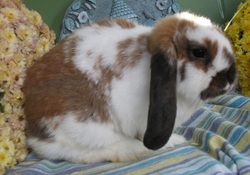 Their new owners are very happy as he wanted a up ear and she wanted a lop. They are settling into a new life. ADOPTED: Scout is a victim of 'dumping'. 2013 seemed to be the year where people that were moving or being evicted and had domesticated rabbits so they just turned them out into the 'wild' which is a death sentence for domestic rabbits. ADOPTED: Hi...my name is WALLACE. My name at the Rescue was JAX. I like both. I tried dating but I find I am much happier being a bachelor! UPDATE: 4/2016 We just had the pleasure of bun sitting JAX!!! We love to see our kids again and he was a pleasure to have here. He has a fantastic loving new home! ADOPTED: Giselle found her new home in South Carolina. With some help from good friends at Fur Babies Transport we managed to get her there with only one overnight pit stop. 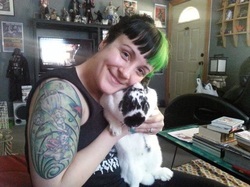 ADOPTED: Bianca with her furever mom! JOURNEE - ADOPTED 4/2016 Journee just celebrated his one year "Gotcha Day" ! He lives in a wonderful house with a mommy and daddy and 2 cat friends, a bonded pair of house bunnies and another little fuzzy rabbit named Gizmo that we are trying to help bond them. 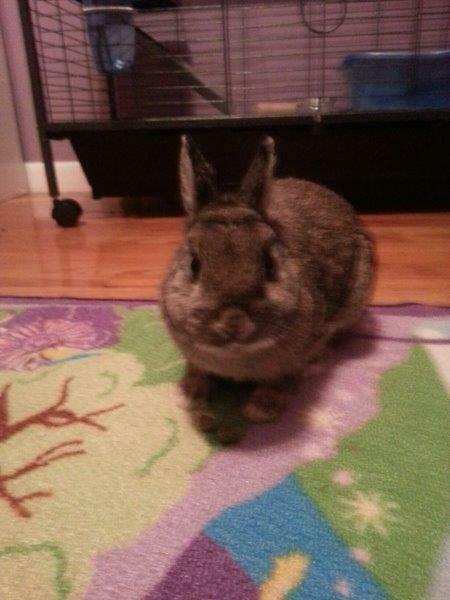 January, 2014 Chip has been adopted to be the bonded friend of a lovely lady bun. We are so very happy and wish him well and to lots of happy and healthy lives together. Another November 2014 adoption!!! Arial finally found her forever home!!! We are so very happy for her but are going to miss her so much. The day was never complete without her disapproving "humph" as you cleaned her pen. A beautiful girl she has a new mommy and daddy who are going to spoil her rotten!!! You go Arial! The month of November 2014 was very busy with adoptions. 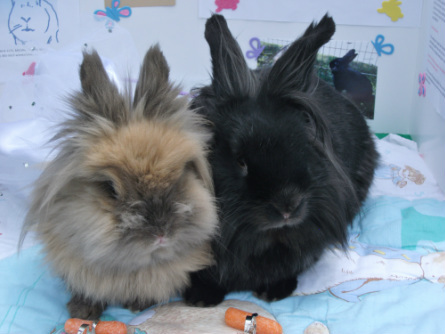 A very special adoption was Squiggy, now known as Alfie (on the right). He had trouble in his original home. He was living with another guinea pig that picked on him and would eat all the food because Squiggy has some kind of neurological disorder and wouldn't stand up for himself against his "brother". This is Squiggy in his new home with his new baby brother and they adore each other. Best wishes Squiggy. You will are truly missed. Boris - Adopted But Got His Wings shortly thereafter. 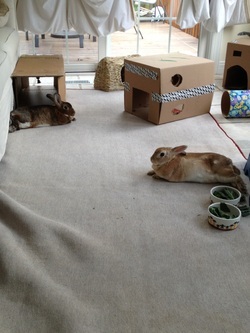 ADOPTED: Leena (new name Gabriella) has a great new home with a new Husbun named Gustav. They have their own bedroom and two cats to play with. Their mommy loves to play with them and we are sure their daddy loves them too!!!! 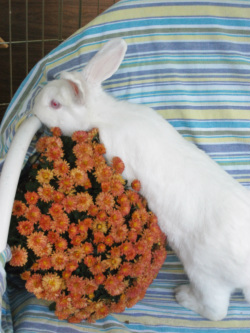 Their momma is a very experienced bunny mommy having volunteered with another rabbit rescue in the area and we are thrilled she picked Leena from us!!!! 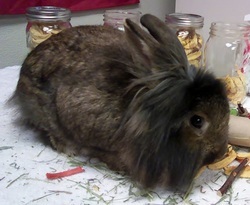 ADOPTED: Simba and Nala are a beautiful pair of lion head rabbits. Medium size and gorgeous, this cute couple are approx. 3 years old as of October 2013. They were sadly given up by the teenage girl who was overloaded with all the things that come with High School and growing up. Both Simba and Nala have been altered and are both very loving. They are hysterical to watch play or cuddle and nap together. They had their "official" wedding in June of 2013 at an event out in Whitmore Lake. They drew quite a crowd as they promised to always stay together and love each other. 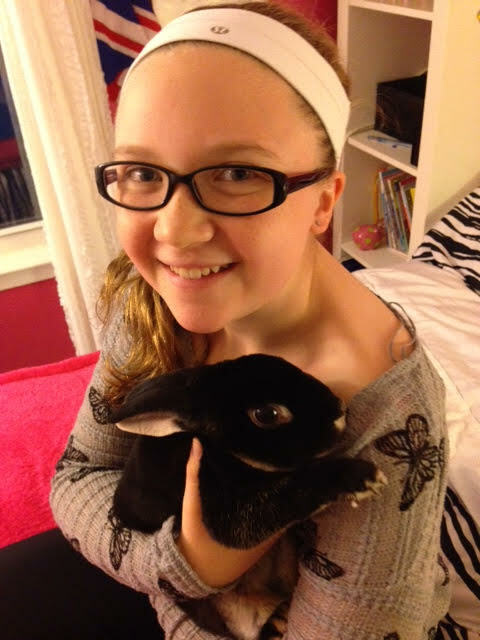 ADOPTED: Cee Lo found his furever home with a new family and a new bunwife named Catniss. They bonded very quickly. He has a cat friend and a baby who will grow up knowing how very special rabbits are and how to handle and care for them. ADOPTED: An amazing pair of lion heads, Rufus and Rafia found their forever home in Ohio. They have a beautiful new house in a very wooded area with lots to look at out the window. They have a new mom and dad and two doggie friends, but the dogs can only visit when mommy and daddy are home and watching. That's okay... they have each other and there is so much to see and do!!! We tell everyone how a bonded pair will bring twice the joy and love to your live and it couldn't be more true here!!!! ADOPTED! : The last of the NICS babies has been adopted. Tony has been adopted (as were his brothers Gibbs and Ducky). Tony's mom sent me this email: "Tony (now Xeno, after Xenophilius from Harry Potter) is getting along wonderfully in our home and with our cats! He's found his way on to my bed... a habit I need to break him of, but he's not harming anything, so I don't mind so far! He's such a snuggler and kisser! I think he's a ... fit for our home and lifestyle. It makes being a bunny parent an entirely new experience!. ADOPTED: RICO was adopted in November to a wonderful family!!! They have a special needs doggie who Rico was not intimidated by at all, two little girls who absolutely adore him, and a mom and day who have taught the girls the correct way to pet bunny and to never pick him up. He made himself right at home by jumping right under the Christmas tree and nomming the paper off the presents. Good job little man!!! Now to find a new family for your twin broher!!!! ADOPTED: Izzy and Lizzy found their furever home in July 2013!!!! 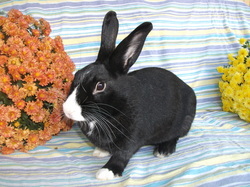 At just 18 months old, this beautiful pair of bonded mini rex sisters are now living the high life near Kalamazoo, Michigan. They now own a wonderful family who have set up a room for them with large windows that look out on a beautiful yard. They share it with their new mom as she claims it is "her" office (not for long) so they will have plenty of time to spend with mommy. The two new boys that Izzy and Lizzy have adopted made them all kinds of hidey boxes and tunnels. Thank you so much for opening your home to TWO babies. 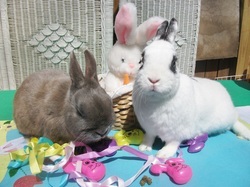 It is very hard to adopt out a pair and this family knew that nothing is more fun and sweet than a bonded pair of rabbits!!! An UPDATE from the family: " They seem very happy and are definitely part of the family! Lightening and his brother Thunder were adopted together. They have still been determining who is top piggy, but since they have a big place to play they are getting along better than ever! 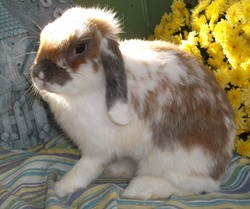 Thunder and his brother Lightening were adopted together. We are so happy. They now get to live out their lives together with a great new family. ADOPTED: Theo!!!! Oh I miss him most of all the piggies!!! 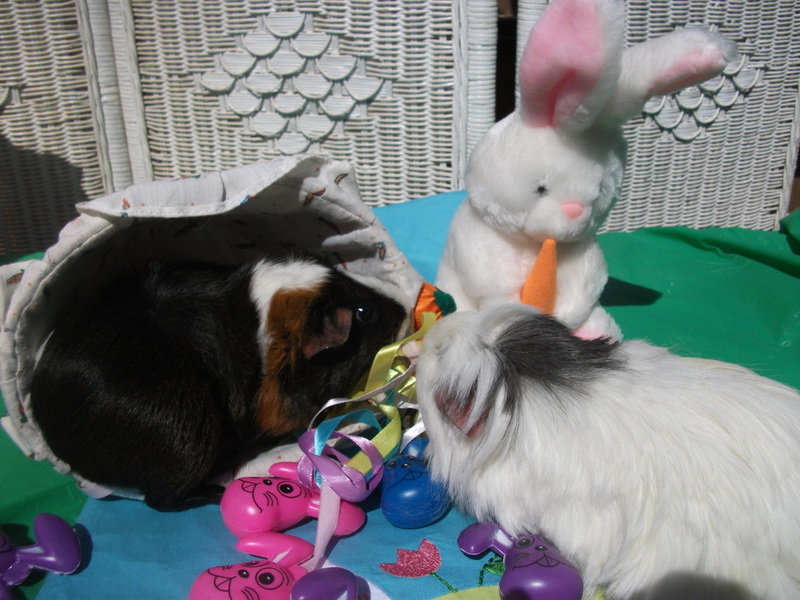 He is wheek wheeking at a new home, His new family reports that he is very loved and happy. ADOPTED:. Rigby is very happy with a new friend in his new home. They have a very large play pen with lots of toys. 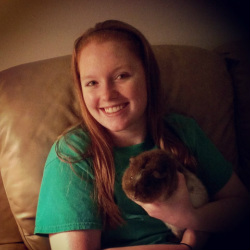 His new mom is a very experienced guinea pig owner and loves "Riggles". Congratulations on your new home little man. UPDATE: Rigby and his new brother George love living together. While there are few rumbles as to who is in charge, they enjoy each other. Their adoptive mother even volunteers 3 or 4 days a week at the Rescue. A big win/win on this one!!!! ADOPTED Wonderland has been so happy to have so many unique adoptions. 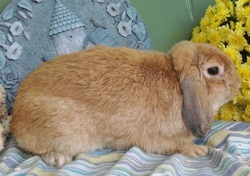 Jenny's new mom saw her on our website and knew instantly that this was the girl for their rabbit Leo, whose mate recently passed to the Bridge. Jenny's mom is originally from Michigan, but lives in New York and is an actress. On a long weekend when they came to visit relatives they brought over Leo to meet Jenny and their bonding will continue on the trip back to New York. Jenny is such a sweet heart that we have no worries that she and Leo will become fast friends. We are keeping our fingers crossed this will work out but if it doesn't, Jenny can come back to Wonderland and we will work hard to find the right match for Leo. We want to make sure he can spend the rest of his days with a new friend to love. UPDATE: Obviously Jenny and Leo have become fast friends. We are so thrilled!!! ADOPTED: Fred has a girlfriend!!! He was adopted by a lovely young couple living in a great condo in the City of Detroit. So now this country boy lives in the big city and he has a girlfriend named Puddin. She is a lop just like him and although it wasn't love at first sight, Fred's new mommy and daddy worked tirelessly to bond them and now they like to chase each other all over the house and share quiet naps. Good job Fred. Congratulations to the new family. ADOPTED! Mick found his furever home on August 22, 2012 with two great guys in Clinton Township. The minute Mick walked through the door he claimed their house as his own. 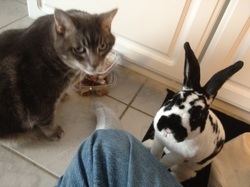 Despite a very large spoiled cat, Mick plans on taking over the place and making it a bun-tacular place to live. His new daddies have already spoiled him with a great new hutch to keep his litter pan and hay in and a huge play area until he can become acclimated to running the whole house. (And then there's the cat that will have to be retrained!). 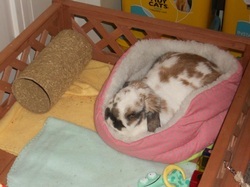 Mick hit the lotto with his new home and we wish we could find a new home like this one for all of our bunnies! Best wishes! ADOPTED! Ducky has found his furever family with a great couple. They have a rottweiller and a kitty who will be his friends. We are so excited for Ducky to start his new life with such a great place. We will miss you little dude, but best wishes to the new family! ADOPTED!!!! : Ace found his forever home with a nice man and woman in Romulus. They have a couple dogs and some birds for Ace to play with. His pen is right next to the patio doors so he has a wonderful window view. We knew you were special little dude. We will miss you but you have a great new family. ADOPTED!!! Edie is now living with Janet and Al in East Lansing. Her wonderful son called us from Virginia and said that his mom had seen Edie on our website and fell in love with her. He wanted to get her for his mom for her birthday. What a great son! Janet fell in love as soon as she saw Edie and we were able to get them all set up with a cage, litter pan and all the accessories. We wish the new family all the love and happiness in the world. Big Dog came to us over the 4th of July weekend 2012. Someone knocked on our door and said they found this 8 week old puppy on the main street by our house and they wondered if the dog was ours. Funny how they knocked on a door to a Rescue (and no we don't keep a sign out front, unless there is a secret sign only lost animals can see!). We worked tirelessly going door to door to find him his home, but soon realized he must have been the pup of a momma dog that was also lost. We contacted a local dog rescue and they came and put him in one of their foster homes and within a week this adorable little guy had a new home!!!! We just helped on this one, but we absolutely adored having him with us and are so happy he found his forever home. UPDATE: 4/2016 What three years later? We ran into the lady that helped us 3 years ago when we found Big Dog running down a very busy road. She works with a Rescue near us and we were at the same event. She came over and said "Remember Big Dog?" Wow we were floored. Right after she took him from us he was adopted! Fantastic. We are so happy we could help. ADOPTED!!! Clover found her furever family right before Christmas, 2012. 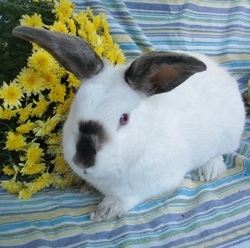 A family in West Virginia have been looking for a female friend for their one year old little male and they fell in love with Clover just from her picture. 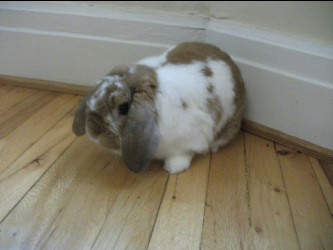 With the help of friends and rushing through some official work, we were able to get Clover into her new home on the exact same date that they got their other rabbit the year before. 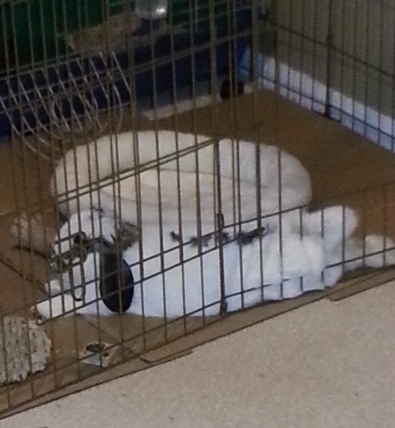 Bonding is going tough, but they have many years to work through that and in the meantime she has a new castle and cozy pink bed to keep her company! UPDATE: Clover and Winter were finally bonded. 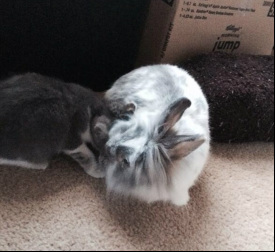 It took four months, but her adopted mommy never gave up and now they are happily bunwife and husbun!! !